HOUSTON (KTRK) -- Eight people were arrested in an illegal street racing operation led by the Harris County Sheriff's Office last Friday night. 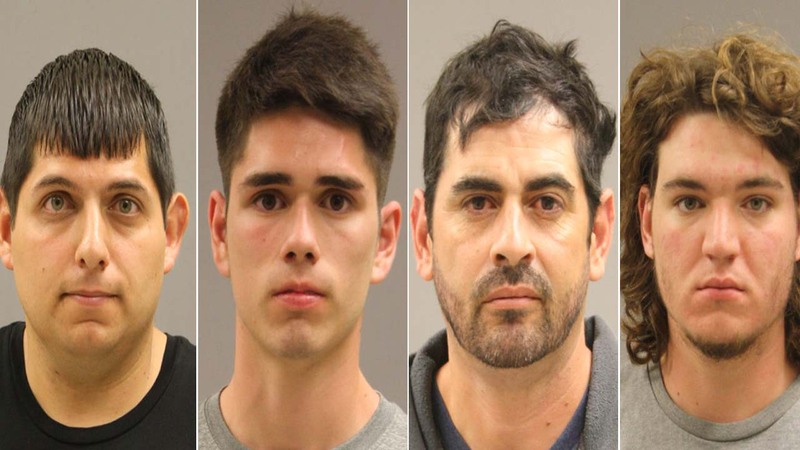 Jesus Cervantes, Scott Glaser, Nicholas Harding, Martin Vela, Demitrius Abercrombie, and Eduardo Cerazo were arrested and charged with racing on a highway. Two others were arrested; Marquise Christian was charged with driving while intoxicated and Julian Fernandez was arrested on an open warrant. The Sheriff's Office operation targeted the same weekend as the TX2K, one of the biggest drag racing events in the country held this year in Baytown. Drag racing is legal in sanctioned spaces and events, and street racing is not, authorities point out. However, according to authorities in a released statement, many of those that attended the event "insist(ed) on using the streets of Harris County to do racing of their own." But the weekend of the event isn't the only time, authorities say, street racing happens in Harris County. Harris County Assistant Chief Joe O'Leary said, "It's a pretty consistent issue on the west side of Harris County. We'll have on some nights up to several hundred cars out here in the Interstate 10 area and Katy Freeway and also on the Grand Parkway that come out and do street racing. We've had a significant amount of serious accidents and several fatalities associated with this." In a video release by the Harris County Sheriff's Office, street racing can be seen at speeds higher than 100 miles per hour. O'Leary said he regularly sees speeds over 120 miles per hour and "significantly above the speeds that our patrol cars can actually keep up." O'Leary said the typical street racer is a young man looking to drive fast. He added, "There are legal ways to go fast in your car to go out into a legal track. There are some drag strips that are around the outskirts of Houston that people can go legally race on they just need to take that activity and make sure they keep it off the streets where it can endanger the public."